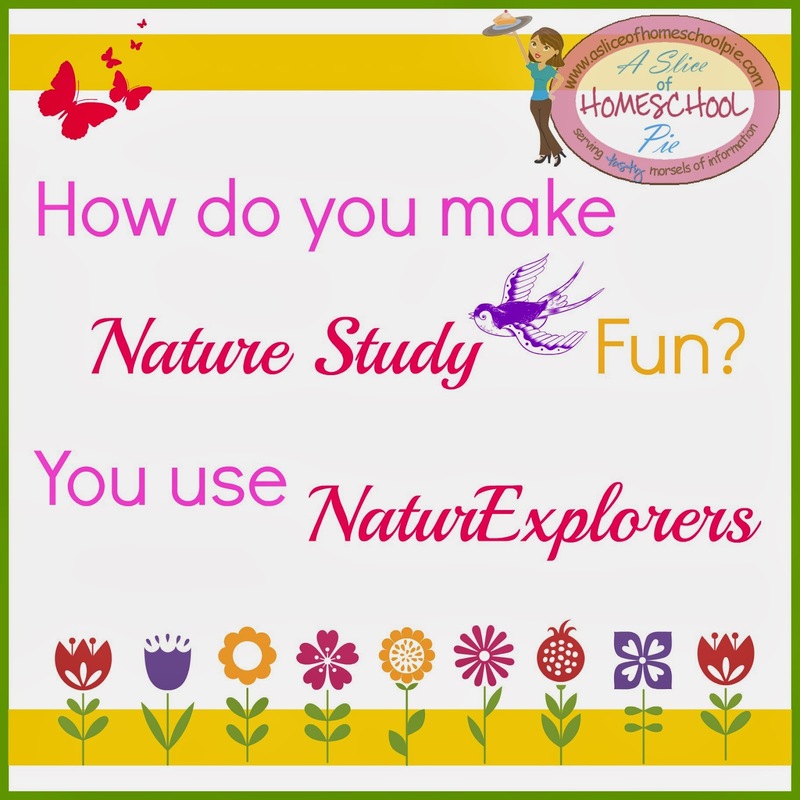 A Slice of Homeschool Pie: How Do You Make Nature Study Fun? 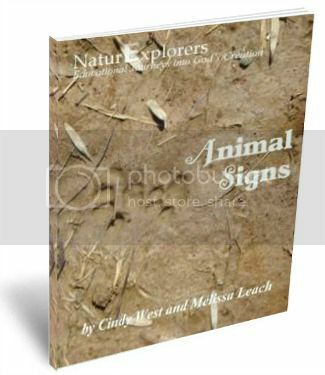 You Use NaturExplorers eBooks. How Do You Make Nature Study Fun? 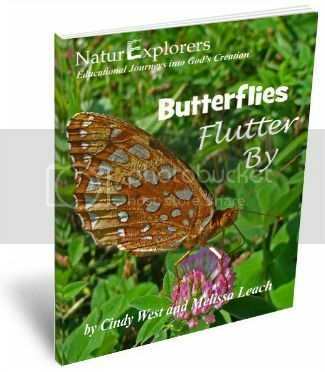 You Use NaturExplorers eBooks. This morning I woke up to the music of the birds chirping outside my window. It is one of my favorite sounds of the morning because it reminds me that spring is most definitely near. After a cold winter like what we've had here in the northeast, my children and I are really looking forward to spring. 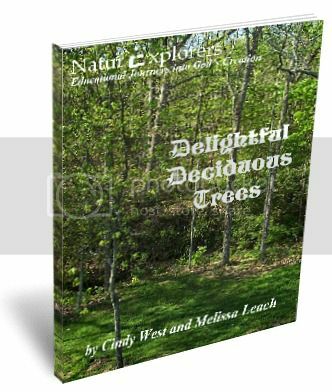 It is during this season that we begin our nature studies. 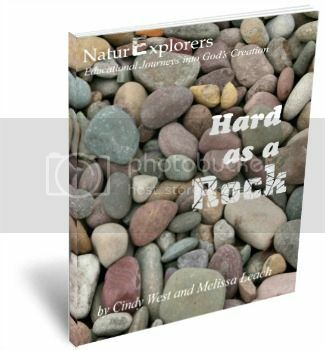 We enjoy using the NaturExplorers series from Shining Dawn Books. 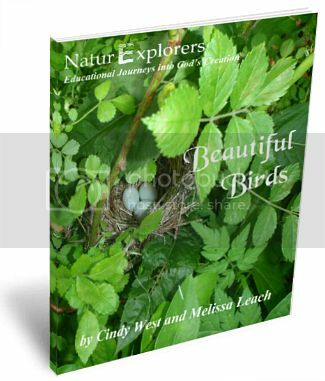 We have found it to be one of the best and most fun nature study resources available. I first learned about NaturExplorers in 2011. The first book we used was Peaceful Ponds. (Read my Peaceful Ponds Review.) Other books we've enjoyed includes Frogs and Toads and Snow and Ice. 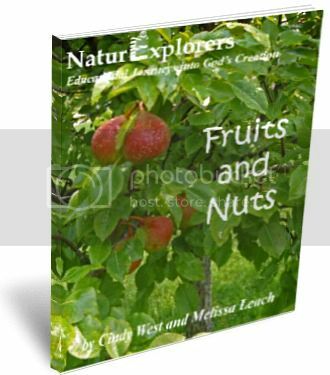 This year we will be using their Creative Nature Walks eBook, which includes 100+ nature study activities for all ages. Visit Shining Dawn Books' website to view sample pages from this book which includes over 60 pages. See for yourself the abundant amount of topics this one book covers. 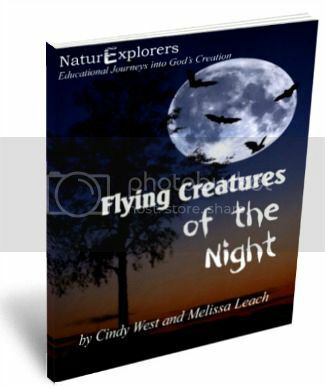 The author even included ways to incorporate Language Arts activities into the nature studies. I am really excited about using this book with my children. Spring can't come soon enough! 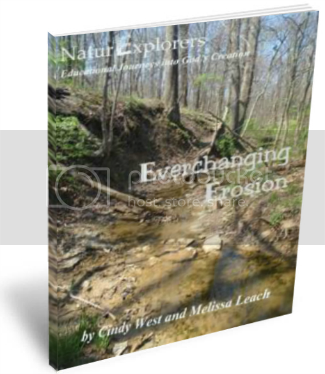 You'll be happy to know that the cost of Creative Nature Walks is only $5.00 through 3/15/14 using the code "ComeOnSpring." 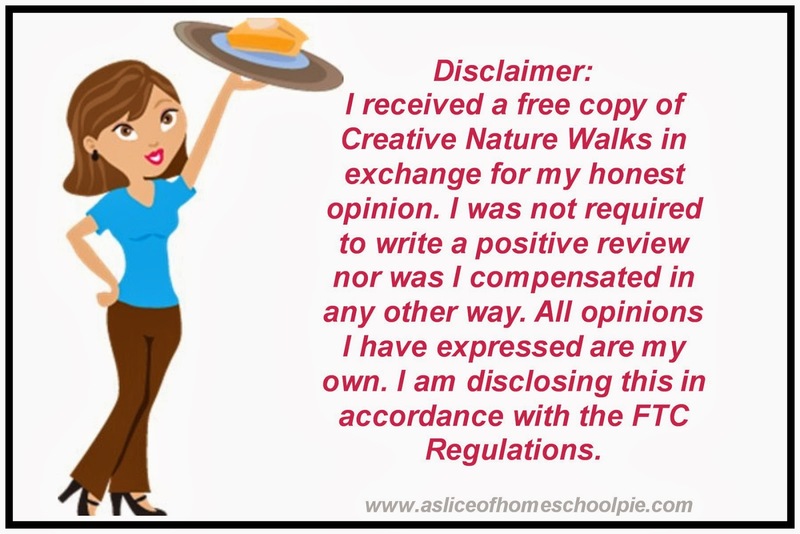 I hope after you spend some time visiting Shining Dawn Books' website, you'll find a nature study or two that will fit your family's interest. 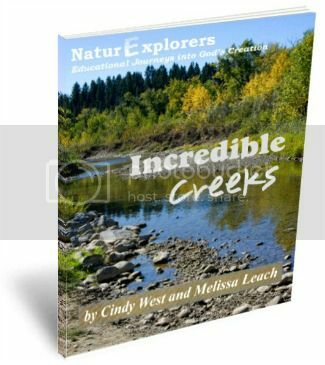 Personally, the next one I have my eye on is Incredible Creeks, as my sons love playing in creeks. 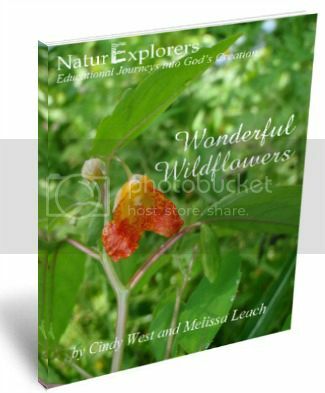 Make sure you visit me again tomorrow as I will be hosting a NaturExplorers giveaway. 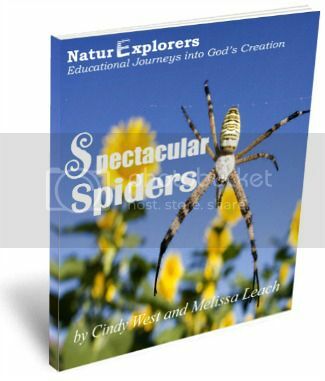 One reader will have the opportunity to win one NaturExplorers eBook of their choice. Have you used any of these books? What type of nature studies have you done? Please share your comment below. What a great collection of books! I am not sure where you are, but in NY we do not here the birds chirping yet.. Nature study has always been one of the Charlotte Mason methods that I haven't been good at. These look great! 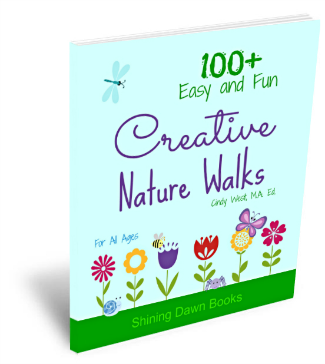 I have never seen these books before but the one with 100+ creative nature walks seems to be the one I would most interested in. I can't wait for spring to come so I can see the Earth's natural beauty. My girls have started to discover little things in nature when we go out for a walk or run. When it warms up this year, this would make a great tool! I like taking the girls for a walk with masking tape bracelets on (tape sticking out.) We pick up things along the way and stick them to our bracelets, talking about what we've found as we go, making patterns and so on. It's not all we do, but it is fun! What a great group of books. My kids are always asking questions when we go on nature walks and I never know the answers. These look like great resource to look them up in! These sound like great books! We have really been enjoying hiking here lately. That's something I really want to do more of. I definitely want to get the birds book. Thanks for sharing! Nature study is one of the things that I don't enjoy as much as some of the other things we do. We used the butterfly one by them last spring though, and we really enjoyed it. That's cute- I love guide books. This would be something i'd look further into. These look so cool! I have never heard of them before but now I will definitely look them up! Pinning for later! Thanks. I haven't heard of these before but sure love nature study with my kids!